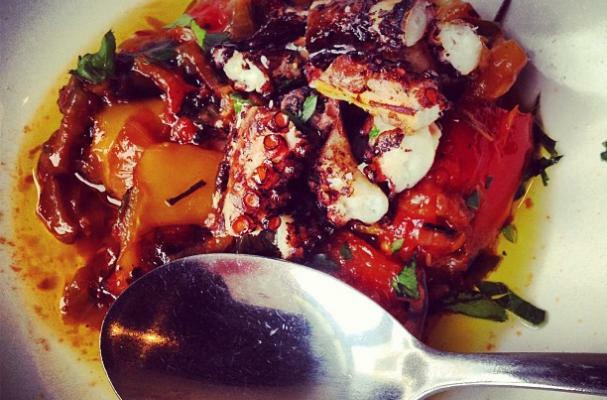 What makes grilled octopus with peperonata (a rustic mix of vegetables cooked in olive oil) even better? Surely the answer is the presence of a lively Italian white wine at the table. Try the 2010 Terredora di Paolo Falanghina. This seafood-loving wine from Campania, made from the Falanghina grape, is a lovely match for the grilled octopus at Seattle's Bar del Corso. All that's missing is some crusty bread to soak up the extra peperonata.